Many people discard unwanted items in the landfills. The emissions from the landfills produce a gas that is harmful to the environment. When you move the eco friendly or green way, you are reducing that rubbish. This helps to eliminate or reduce the emissions from the landfills. You can relocate to a new area more responsibly by following a few tips on eco friendly moving. Some items that you no longer need can be donated to others. For instance, books can be distributed to local schools or libraries. Other avenues for disposing of non-essential items are charities or thrift outlets. You can take your old clothes, recyclable items, old computers and other unwanted things to these places instead of the landfills. By discarding these items properly, you will be protecting the environment and providing others with items that you no longer need. To pack green, you will need to use recyclable packing materials. These can include cornstarch packing peanuts, recyclable packing paper, reusable boxes and twine. According to DMV, reusable boxes can be reused around 500 times. Therefore, once you have finished moving, you can share the packing materials with others in need. When you use the proper packing supplies, you will be protecting your valuables and the earth. In addition, it is recommended that you pay special attention to detail and preparation to ensure that everything is packed safely and responsibly. Being prepared can eliminate potential problems when moving, and it can save you some time and money. When you move, you will want to leave behind a clean place. You should use cleaning supplies that will not harm the environment. These eco-friendly cleaning supplies are nontoxic cleaners that are biodegradable. Green cleaning will be healthier for you and the next occupant. Many things can be reused or recycled. At Recyclenow website, you can learn about the importance of recycling your items. When you recycle, old products are made into something new. These items are helping to reduce the consumption of the earth’s natural resources. When a new product is made, it requires raw materials obtained from the forest or mines. Recycling helps conserve these raw materials. You can donate all of your items that are no longer important or useful to you to a recycling center in your area. Recycling will save the earth’s energy while it helps to protect your environment. The donated items are reducing the necessity of using raw products, which require extracting, processing and refining. The process of making new products causes the air and water to be polluted. By reducing the items in your home, you will have less to move. This means less packing materials will be needed, and it will take fewer trips from each location. This will save on fuel for transportation. Moving can be time consuming and costly. However, eco friendly moving can be done easily and safely when you follow these tips to make the right choices for packing and reducing your unnecessary items. These days, buying a gift for a friend or a loved one can be terribly difficult. With the endless options out there, it is awfully troublesome to find something unique and special. Rather than stick to a traditional gift, one type of unique idea is to choose something green. Green eco-friendly gifts are interesting, made out of special materials, and are often designed in a non-conformist manner. Rather than struggle in the store, this article makes the job easier for you. Below are five amazing green gift ideas that any of your friends of loved ones would completely adore. Recycled tee globes are beautiful and delicate ornaments for the home. One of the main reasons that they make a great gift for both men and women is that among the four options, each globe carries with it its own symbolism and story. The four options are happiness, rebirth, creativity, and passion. Therefore, when you choose one for your friend or loved one, you can easily match their personality to a globe. They are handmade, the glass is completely recycled, and each globe features an lovely image of a tree. Candles are always a great gift, but buying green ones is an even better choice. New Age Markets suggest considering the purpose of the candle before you buy it. For example, if you're looking to give your friend or loved one a fun and friendly type of candle, then Mandarin or another citrus scent is the best type of choice. On the other hand, for more romantic and loving occasions, there are dozens of Rose fragrances available. When choosing candles, you'll find that there are many types to choose from like soy, non-soy, scent-free, and a number of different sizes. These candles are eco-friendly due to their handmade nature and natural ingredients. If you have a friend or loved one that is always on the go but is always purchasing water bottles or other drinks, then one excellent gift option is an eco-friendly travel mug or bottle. According to Ban the Bottle, a regular store bought water bottle can take hundreds of years to decompose. Rather than allow your friend to spend money and waste plastic, you can get them their own mug or bottle that they can refill anywhere and anytime with water or their favorite drink. In addition, aside the green factor coming from the sustainable aspect, this gift idea is also BPA free and made from eco-friendly materials. This gift is especially useful if your friend or loved one is a student. Purchasing a backpack every year can take a toll on the environment, which is why a recycled backpack is the better option. Recycled backpacks are green and eco-friendly because they are made from items like natural materials, recycled tires, yoga mats, and other unique environmentally friendly materials. They are durable, sustainable, and very unique. Perfect for anyone that has a friend or loved one that loves to shop, reusable shopping totes can be used over and over again with no toll on the environment. Rather than allow your friend to constantly use bags harm the environment, give them a shopping tote. Reuse this Bag indicates that using a reusable bag reduces environmental impact and protects the oceans from litter. Shopping totes come in many different brands, colors, and styles. Choosing the right gift is necessary, but with the variance of options above, it really should not be a problem. These gifts are all environmentally friendly and unique options that anyone would truly love. Overall, not only are you helping your friend or loved one do their part for the environment, but you're also doing yours along the way. The building costs, both environmentally and financially, have gone through the roof and there are no signs that it will be coming down anytime soon. As experts point out, the best way to keep the cost of construction low is by using green construction materials. These have many advantages and some of them are discussed below. • These materials enable homeowners to easily abide by building codes, and these are becoming more stringent across US. The result is that costly delays that are normally associated with passing inspections or obtaining permits are eliminated or reduced. There is no question as to the danger posed by using traditional construction materials. One of these is the VOCs (volatile organic compounds) and these have been proven to increase cancer risks as well as other problems. With green products, such problems do not exist. A good example is that of wheat straw. It can be made into sheets which serve the same work as plywood, and the best thing is that it does not require the formaldehyde to be used. Another thing is that green construction materials tend to go together with building methods and designs that are environmentally friendly. These methods incorporate open spaces, natural light sources as well as brighter surroundings. These elements are all associated with greater happiness and enhanced health. They also have significant payoffs for builders, employers, providers of healthcare and even the society as a whole. Green building also involves using renewable and alternative sources of energy like wind and solar power. While installing these might appear expensive initially, it has potential of paying off handsomely in the future. How do you achieve these benefits? If you are to enjoy the many benefits that are brought about by using green construction materials and methods, it is important that you be committed to using them right from the onset of the project. In fact, you need to make up your mind even before you get general construction permit. It is also important that all engineers, consultants, architects as well as other professionals be properly versed with building methods that are environmentally friendly. These need to work in cooperation with one another to ensure that all possible sustainable techniques are fully taken advantage of. For instance, water systems may be made in such a way that they are able to not only use but also collect rainfall. In order to select the most appropriate location for a project, a number of considerations will need to taken into account. The following are some of the considerations that may disqualify a given location. • If the site will require that large areas are deforested, or the landscape needs to be significantly altered, then this is not a good site. Environmental Management Plans are important for protecting construction investments and avoiding lawsuits. These plans review important information such as government guidelines, local building codes, how the construction will impact traffic and the surrounding environment, noise pollution concerns and much more. Without a proper plan in place, the construction project could be bogged down by regulatory fines and even lawsuits. Something that developers must consider is how the project will affect storm water run-off throughout the area. In a case in New England, a developer was sued after claims that his project was allowing storm run-off to go into surrounding areas. The company had built a retention pond to catch the runoff, but an inspection found that the pond was not functioning properly. The EMP seeks to prevent lawsuits by looking closely at the area to determine how best to avoid environmental changes along neighboring properties. In addition to taking the initial steps, they may also put emergency plans into place for dealing with rain volumes that are higher than normal or other contingencies. In another case, environmental groups have temporarily shut down construction of a project that is designed to provide renewable energy and reduce the amount of rubbish going to landfills. The groups argue that it’s essentially an incinerator that will destroy air quality. With an EMP in place, the developer could show the courts research and solid data to support their claims. Without this information in place ahead of time, projects can fall victim to special interest groups that don’t want to see them move forward. Fines for failing to follow regulations can destroy the profit margin on any project. 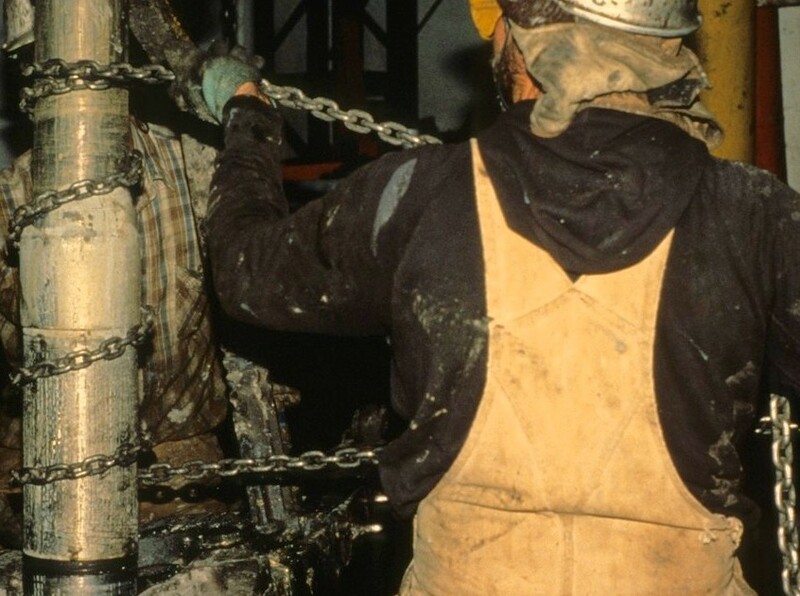 In Boise, Idaho, a construction company is facing heavy fines for asbestos violations. According to government regulations, cement pipe containing asbestos is only safe as long as it is full intact. 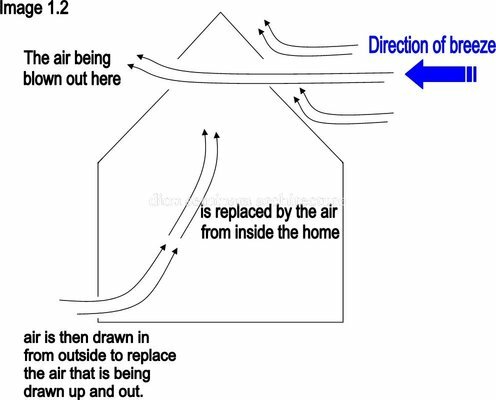 If the pipe breaks, it must be contained to prevent the fibers from becoming airborne. In this case, a construction company failed to properly follow the protocol when broken cement pipes were not properly disposed of. The EPA claims that it spent $3.9 million on the cleanup, and the construction company responsible is now facing a fine of $100,000 plus three years of probation. An EMP may have suggested different protocol for monitoring and overseeing the cleanup. Governments have the power to levy fines for all manner of environmental and building violations, so it’s important to keep costs down by learning as much as possible about regulations and ensuring that they’re followed.There are numerous companies offering EMP services, it would be wise for all contractors and builders to ensure to look at some examplesbefore placing an order. Maintaining a presentable and sanitary living space can seem like too much to do. With all those cleaning projects, it may sometimes feel as if there is not enough time in a day. As if day-to-day cleaning chores are not enough, there are also bigger cleaning projects like cleaning windows or removing dirt from curtains that should be done at least once in a year. But not worry. In this post, we tell you 5 green and simple cleaning tips that will make cleaning a breeze. Read on to discover more. You do not necessarily need to clean your windows using ammonia-based cleaners. Instead, you can use lemon juice. Just add 4 tablespoons of lemon juice to 1/2 gallon of water. Alcohol and witch hazel, when mixed together, also works great. Old newspapers are not good for wiping or cleaning windows although the common misconception is that they are. However, it is not only messy but also a complete waste of time. The best alternative is to use a clean and lint-free rag. A cloth diaper or old cotton t-shirt also works. • Mix a cup of vinegar with one gallon of warm water and then mop the mixture onto ceramic tile, vinyl, wood floor or linoleum. • Rinsing is not necessary and this will save you both water and time. • Mop it over using a straight club soda to give it a shiny touch if it appears dull after cleaning. Every time you have to complete indoor painting project, it helps to manage he paint smell by having small vinegar dishes scattered in the room. This is because vinegar absorbs paint smell even as you work. After you are done with the painting project, lave the vinegar dishes out for a few day and they will keep paint smell away. Just ensure that you change the vinegar daily. Since furniture polish is made from petroleum solvents and distillates, all of which are not only smelly but also dangerous, it remains high on the list of Terrible Ten. And they are also very poisonous, which is the reason you should not keep them near you especially with so many eco-friendly ways of polishing your wooden items. One effective yet earth-friendly method is to mix olive oil and lemon juice. Just mix them in the ratio of 2:1and then apply the mixture to your wooden furniture by means of a soft cloth. Not only dies this combination gives your wooden furniture nice smell but it also makes it sparkling shiny. If you do not have time, you can hire cleaning professionals to ensure that you not only live but also work in an environment that is clean. If you feel that your fireplace has amassed enough smoke smudges and soot and you want to give it a makeover, you can just apply water, tartar and cream paste. Just chafe the past onto the stains, leave it to dry and then scrub off. Electricity prices continue to rise each year. Therefore, homeowners are looking for new ways to equip their homes with greener lighting to account for the increase in electricity costs. At one time, you would have simply chosen a regular light bulb to screw into a light socket. Today, times have changed with new lighting and new EU legislation. The new EU legislation has outlawed the old style of incandescent light bulbs. Even with the old bulbs being discarded, you have several sources of lighting to choose from that will light your home economically. About 20 percent of the energy consumed in the world comes from lighting, and the majority of this energy is used in the homes. Therefore, choosing the right bulbs can help reduce the energy consumed in the homes, and it can help save the environment and lower your energy bill. An incandescent bulb is no longer the best source for lighting since it has proven to be highly inefficient in saving energy. 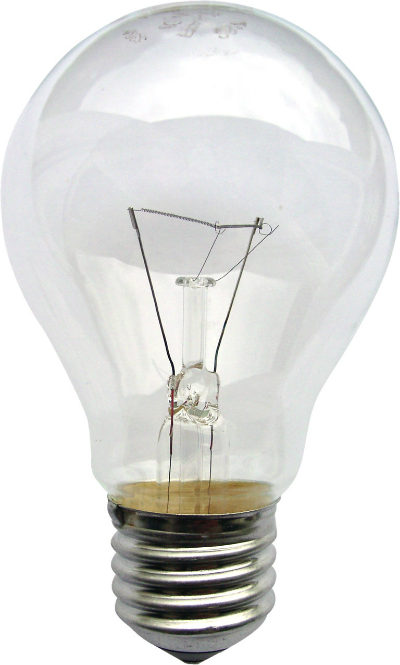 The incandescent bulbs were invented by Thomas Edison in 1879, and they have remained unchanged throughout the years. The bulbs use 90 percent of their energy giving off heat, which can make them become a fire hazard. The incandescent bulbs lifespan is extremely short. They will last for less than 1000 hours, which means you will need to replace them regularly. This can become expensive over time. To cut down on the impact this lighting has on the environment, you should consider using them in areas that only require occasionally lighting such as under cupboards. The energy-efficient halogen bulbs are a newer variation of the older incandescent bulbs. Both the incandescent and the halogen bulbs have a tungsten filament that is similar. However, a big difference between the two bulbs is that the halogen bulbs contain a gas that helps to slow down the deterioration of the bulb, which will help to extend the lifespan of the bulb. Even though the two bulbs act in similar ways, the halogen bulbs can save about 25 percent to 30 percent more energy than the older incandescent bulbs can. The halogen bulbs are a step up from the older bulbs, but a newer and more energy-efficient bulb is the LED. At Lights2You blog, you can find detailed articles ranging from LED lighting history and benefits to LED lighting trends. LED lighting is different from other eco home lights in several ways. 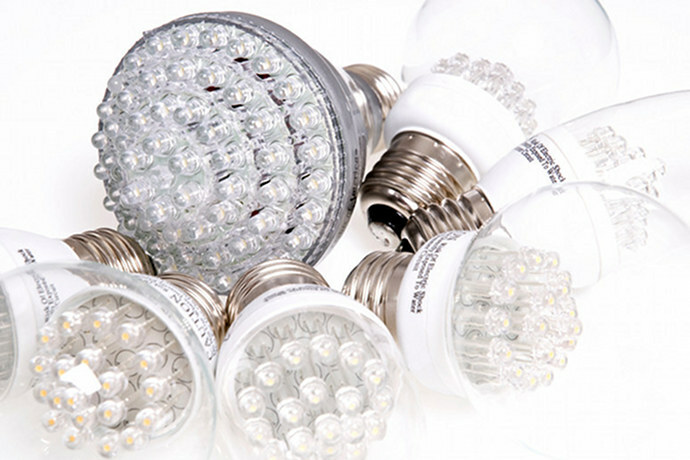 For instance, the LED bulbs are more efficient, versatile, durable and longer lasting. The LED lighting will use light emitting diodes to provide light more efficiently than the incandescent or compact fluorescent lighting will. The lighting works when an electric current goes through a semiconductor material to illuminate a light source. In addition, the LED lighting is versatile since it comes in many colors such as red, blue, amber and green, which offers more uses for this type of lighting. The colored lighting is used in signal lights, computer buttons and other fixtures. LED lights are being used in bulbs for general lighting to save homeowners money on their energy bills. Every home should be equipped with LED lighting to save energy. LED products offer you a unique opportunity to control your electrical bills with a versatile and economical lighting. There was a time when no one cared about environmental technology. After all, gasoline was priced cheaply, usually under a dollar per gallon, and everyone was happy enough to use as much as possible. However, times have changed a lot in the past few decades. The cost of fuel has sharply increased, and people more aware that they need to treat the earth's nonrenewable resources with care. With that in mind, scientists have been looking into building pneumatic valves that use fewer amounts of energy. Twenty or thirty years ago, a pneumatic valve would have consumed 6 Watts of power, and only lasted for 10 million cycles. Nowadays, the same valves can get in about 100 million cycles while only consuming around 0.1 Watts of power. Using 60 times less energy and bringing about 20 times greater shelf life is an incredible accomplishment, and there are many reasons for this transition. Using flow amplification techniques, along with other methods, helped to bring about this low level of energy consumption from the valves. Having a small three port valve with two portions operating the larger air-operated valve used far less energy, and also reduced the overall size of the mechanism. In time, other changes were made to the valves. For example, materials were altered to be more efficient and lighter. Zinc die casts were replaced by anodized aluminum, with engineers finally settling on a plastic mechanism. Valves are now streamlined, of very low mass, and have greater flow capacities thanks to efficiently designed internal passages. When you add up the numbers of energy and materials use, they are often staggering. For example, the 600 coal fired plants in the United States will each disperse 10,000 tons of sulfur dioxide, 10,000 tons of nitrogen oxide, and 700 tons of carbon dioxide, in addition to other waste. No one wants to breathe these pollutants, and society has reached a point where companies have to be wary of their environmental footprint. Having an efficient factory is just half the job, because the neighboring cities/towns will not tolerate environmental contamination. For this reason, pneumatic valves that use less energy are of huge benefit to factories and buildings all over the world. Not only do they use less energy, which is cheaper for the company, but they have a "transferable benefit" that goes to everyone. The benefit of less pollution, less use of nonrenewable resources, and energy efficiency goes from factories to workers to shareholders to owners and to everyone who breathes the air in that area. Aside from environmental and Samaritan savings, adding energy efficient valves makes a huge difference to the monthly bill at a factory. Instead of using a valve that needs 6 Watts to work, using an energy efficient valve may only take 1/10th or 2/10th of a Watt. The same way people buy energy efficient appliances for their home, it is important to get machines that use as little power as possible. Technological advancements have provided us with the gift of highly efficient pneumatic valves. It is now time for all companies to utilize this technology to cut down on their energy costs and preserve the environment for everyone.